I took this photo while I waited in traffic along EDSA near corner Pasay Road. It was around 9:30 in the morning and drizzling. 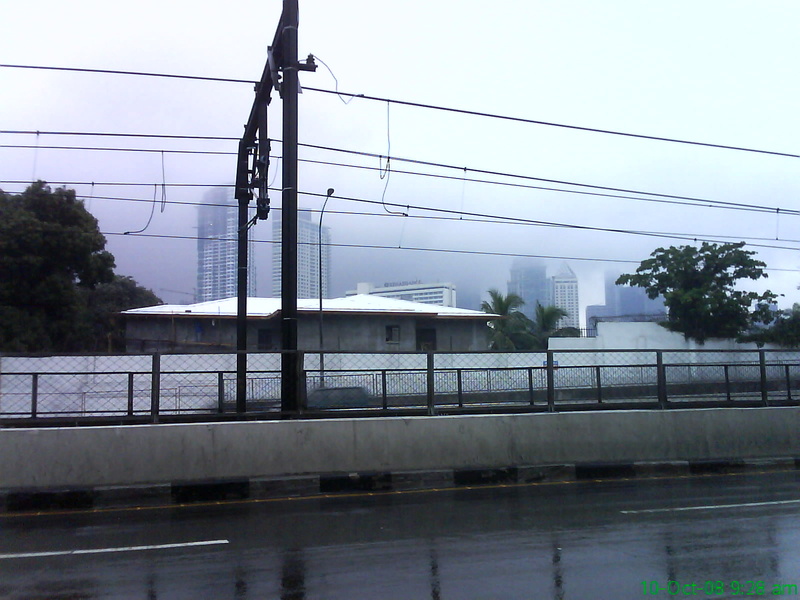 I really can’t tell if this is smog or fog that’s hovering over the Makati CBD buildings. Can you? Previous Post Death of the White Rabbit?